The Eastern zone target area has been significantly enlarged. 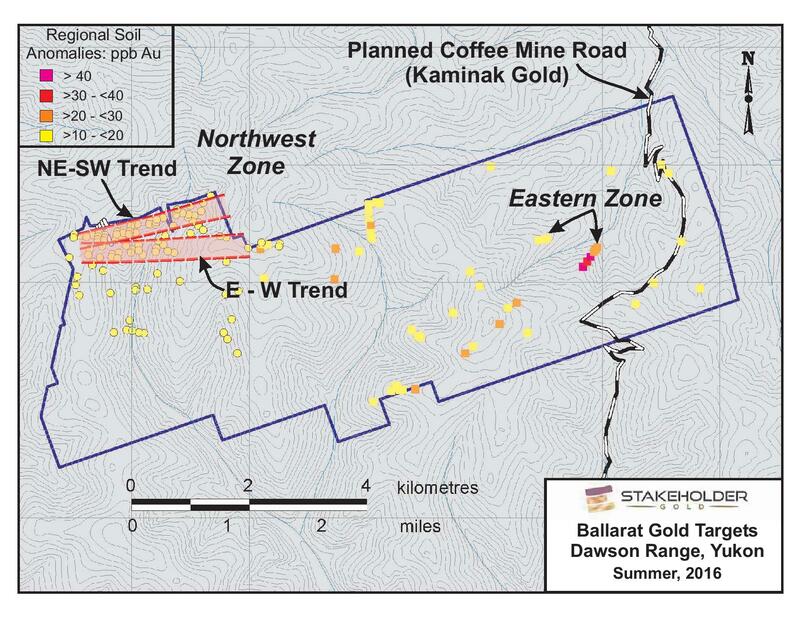 What originated as just 6 contiguous gold anomalous ridge & spur soil samples has been expanded to an area at least 600 m northeast-southwest by at least 300 m northwest-southeast; the gold anomaly remains open to the northeast (see figures, below). Two float rock samples of quartz feldspar biotite gneiss collected from the Eastern zone, strongly altered with quartz, sericite and ankerite, yielded values of 0.759 g/t and 0.587 g/t gold. Interpretations of DEM topography and satellite imagery suggest that the Eastern Zone occurs at the confluence of three major faults. 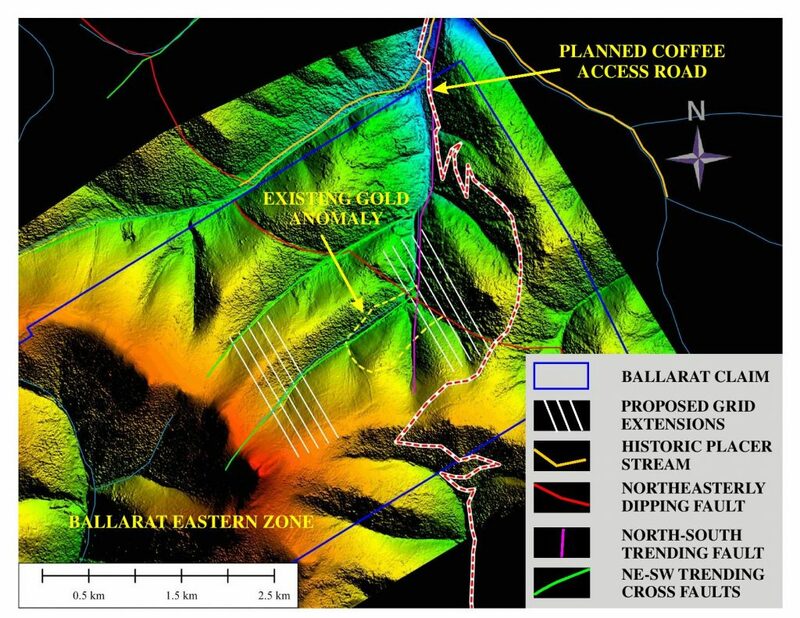 A Phase II program has just been completed, which included extending soil lines to the NE and SW (100 m lines x 50 m stations) and in-filling soil samples in the core of the anomaly (50 m lines x 25 m stations). 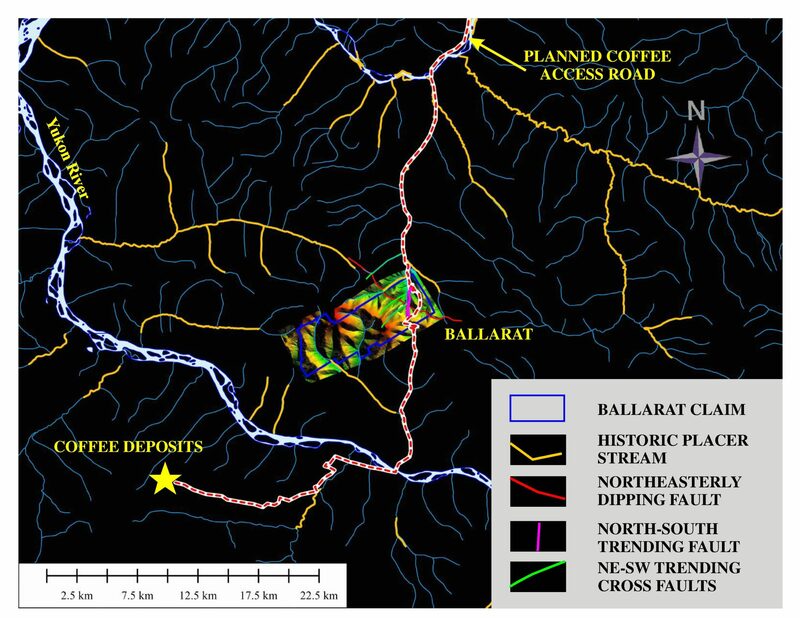 At least 7 lines of DC induced polarization/resistivity geophysics were planned. 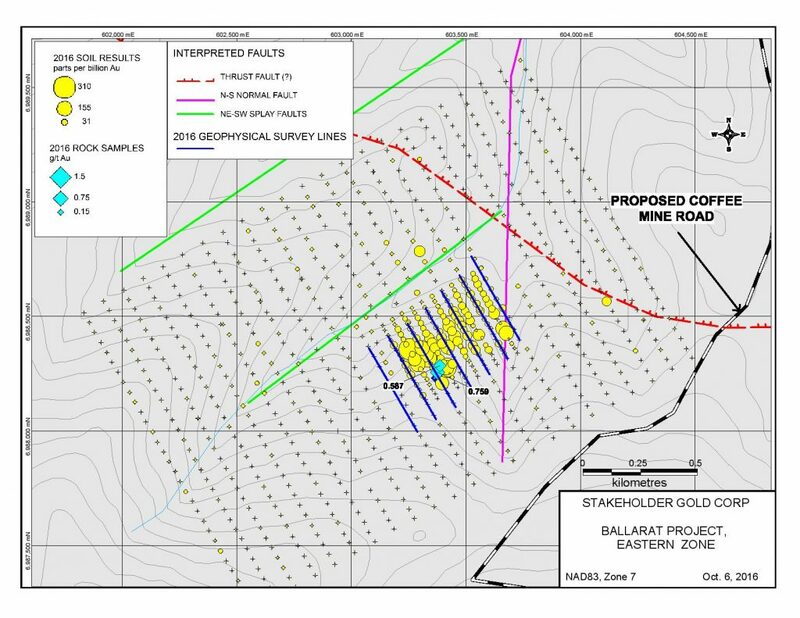 A program of RAB (rotary air blast) drilling is planned for early October following review of the geochemical and geophysical results of the Phase II program.